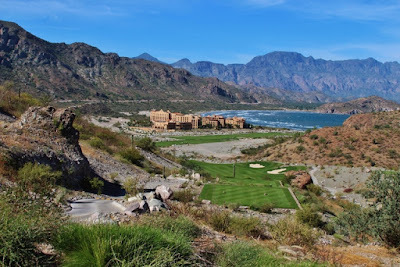 LORETO, Mexico - Rees Jones didn't mince words when heaping praise upon the Danzante Bay Golf Club, a course that could ultimately end up being the crowning achievement of his career. Sure, he tweaked a bunch of U.S. Open venues as the "Open Doctor," but Jones claims he has never seen such a natural canvass yearning for a golf course. "You've got every element," he said prior to the grand opening ceremonies in December. "You've got the desert, the dunes, the cliffs, the mountains, the canyons, the valleys, the arroyos. There is nothing comparable to this anywhere in the world...It's one of the best sites in the world for golf." Architects skew toward hyperbole, but not here. Danzante Bay's legit. So is the adjacent Villa del Palmar Beach Resort & Spa at The Islands of Loreto. Both Danzante Bay and Villa del Palmar share views of the shimmering bay and Sea of Cortez, which legendary explorer Jacques Cousteau called the "aquarium of the world." Towering buttes and rocky spires of the Sierra de la Giganta mountains block the resort from the outside world. It's not near anything else - 700 miles north of Los Cabos and 300 miles south of the U.S. border on the desolate California Baja Sur - but that might be the best reason to go. You get an open water aquarium and tantalizing resort all to yourself. Almost. Developer Owen Perry - a successful Californian who has built Villa del Palmar resorts throughout Mexico - said it took him years to get Loreto on the map. When his Loreto resort opened in 2011, only 3,000 airline seats flew into the local airport a half-hour away. In 2017, that number pushed to 72,000 seats, including daily flights by American Airlines from Los Angeles and seasonal access by WestJet from Calgary International Airport in Alberta, Canada. Thankfully, Loreto has maintained that authentic feel of a sleepy place untouched by tourism and the cartel violence that plagues Mexico. "Cabo (San Lucas) turned into a party town. You go there for what we call the California weekend," Perry said. "We hope (Loreto) is a little bit calmer. We hope for it to be a little different than what Cabo is. I believe it will be a very unique alternative to Cabo." Jones, best known for his renovations of U.S. Open venues like Bethpage Black and the South course at Torrey Pines, did well to tame such a rugged site with 250 feet of elevation change. He and Perry made a pact that it would be playable. The greens aren't wacky like what's trending in modern design. Most accept running shots. Two strains of Paspalum covers the turf. The 7,237-yard climbs through inspiring canyons on the front nine, visits the beach briefly for the 12th and 13th holes before the climax is revealed. The par-3 17th hole will quickly become one of the world's great destination par 3s, a hole so dramatic that golfers will come just to play its tee shot. The elevated tees on no. 17 look down upon an hour-glass-shaped green cut into seaside cliffs. The hole sits isolated from the rest of the course on the other side of the mountains. It was Perry who made the discovery and pushed for routing changes to accommodate its construction. The key to its addition was building two shorter par 4s that climb the mountainside without feeling overbearing. The just-as-scenic final hole, a stout par 4, tumbles downhill toward the resort. "It took us three years to do (build) this course. It wasn't because of lack of funds," Perry said. "It took us that long to find the personality that the land would give. ... We adopted the golf course to the land." With a greens fee of $125, Danzante Bay might be the best bargain in destination golf in Mexico or the Caribbean. The resort has room to grow beyond its 188 rooms. Only one wing has been built, so it could conceivably double in size. It's already got every amenity, so why share with more people? My deluxe suite featured two queen beds, a couch for a sitting area, a jetted tub in the living area, a huge balcony overlooking the beach, and a kitchen with a fridge, microwave and sink. It's easy to stay active in such a natural environment. Hiking trails and tennis courts will get you moving. Or you can relax at five pools/hot tubs and the beach. A visit to the Sabila Spa, one of the best in Mexico, steps up the zen. The Market Restaurant serves as a main gathering place. It's an all-you-can-eat buffet serving three meals a day that works great for all-inclusive package stays. Perfect for families, the choices are fresh and delicious. Casa Mia, a poolside restaurant closer to the beach, specializes in wood-oven-fired pizzas, tacos, sandwiches and salads. Danzante Fine Dining, a steak and seafood restaurant, takes the ambiance and class up a notch for a special night out. Unfortunately, big winds didn't allow us to take advantage of all of the water activities most guests come for - the world-class fishing, kayaking in glass-bottom boats, paddle-boarding (how about an LED-lit board by twilight? ), whale-watching, snorkeling and diving among the 900 species of fish. The consolation prize wasn't so bad, a day trip into Loreto's historic downtown. It's worth the complementary shuttle ride to see the harbor and the oldest mission in the Baja, dating to 1697. You can shop to support the local economy or sit at an outdoor café to sip on a cerveza. 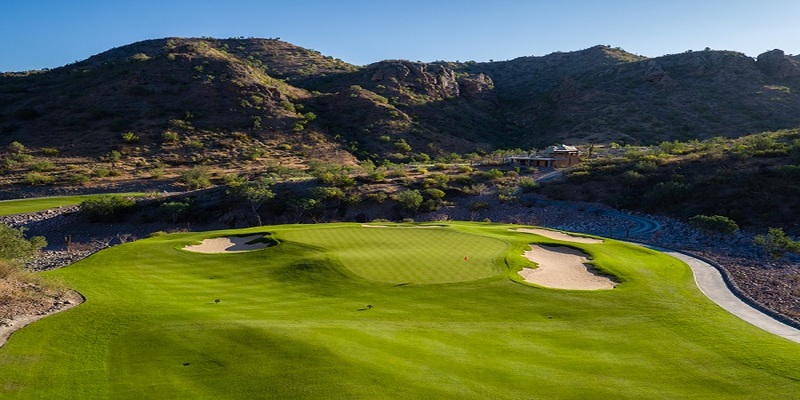 On the way, you'll pass the Loreto Bay Golf Resort & Spa, home to a 1970s course tweaked by David Duval. It looked intriguing from the road. If you fall hard for Loreto - who wouldn't? - you can get in on the resort's real estate development early. Lots cost $284,000 and up with lavish home designs beginning at 4,500 square feet. Can you really put a price on paradise?